Moss Adams - NAIOP Award Winner - AIC | Analyze - Innovate - ConstructAIC: General Contractor - Albuquerque, NM | Analyze.Innovate.Construct. 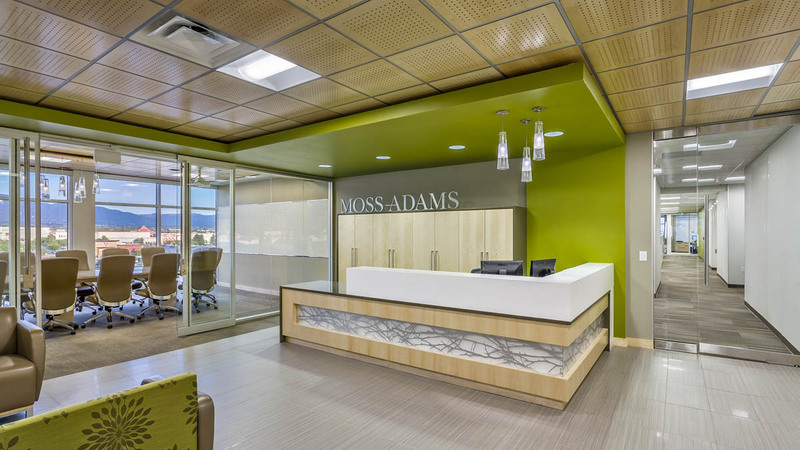 When Moss Adams, one of the 15 largest public accounting firms in the United States, needed a new home after it outgrew its existing space, an ambitious and comprehensive plan was developed by the architectural Firm of Dekker Perich and Sabatini. 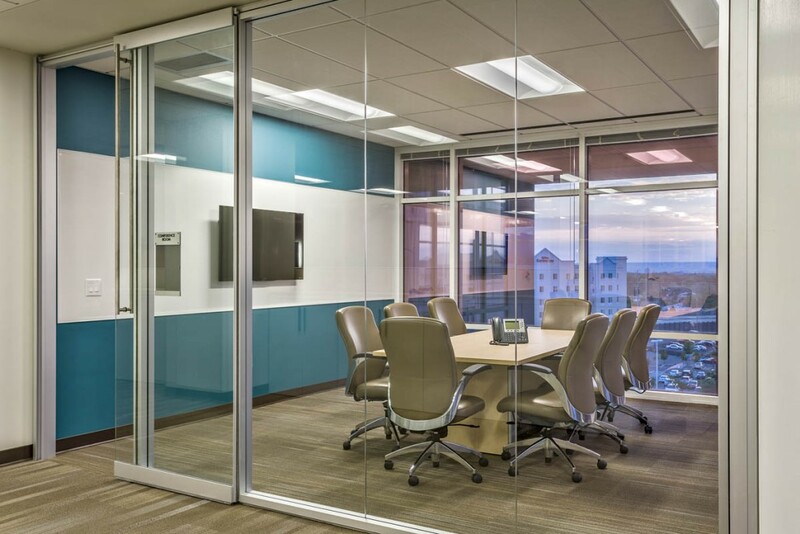 The goal was to create a state of the art and modern 18,880 Sqft “open collaboration” space that maintained secure and sound sensitive areas for client meetings. This was certainly a one of a kind project and would be a showcase and milestone for future office spaces in Albuquerque. 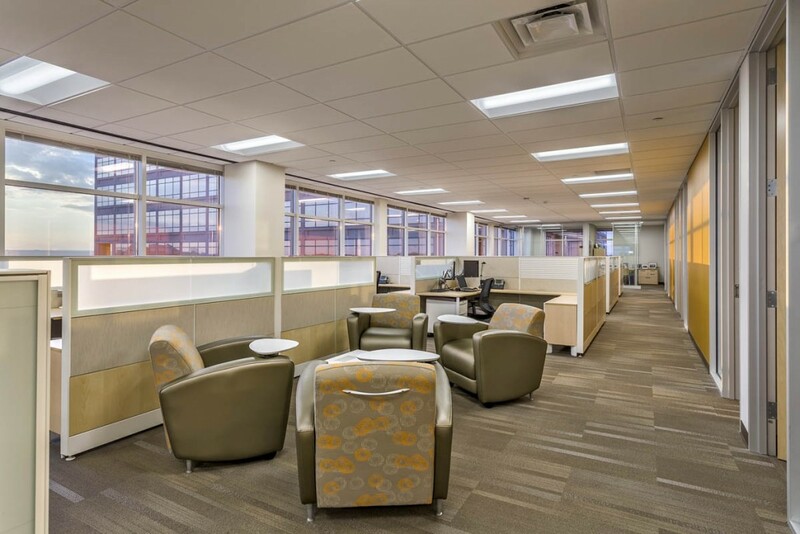 AIC was awarded the project through a competitive bid process and immediately went to work with the design team and end user to develop an expedited schedule as Moss Adams had a move out date of their existing space that was rapidly approaching. 12 hours schedules were developed and the client was able to move in to the space without penalty from its previous landlord. This is always a goal to meet and achieve and AIC met the challenge. The design of the space maintained a national brand standard while simultaneously celebrating a local aesthetic. 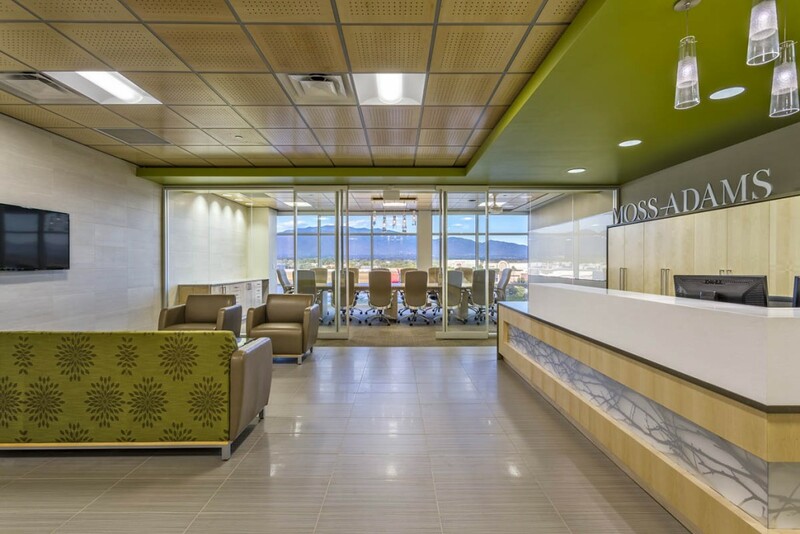 To accomplish this, the team utilized elements like floor-to-ceiling glass walls, vernacular color palettes merged with vivid accents and materials which were contemporary adaptations of natural elements. The result is a transparent environment that is not only bold and engaging, but also ties back to a strong local culture. The new, open office setting offers a dramatic change that provides all staff access to daylight and views, a collaborative work space to accommodate varying work styles, and a welcoming atmosphere for both guests and employees. Natural elements are expressed through contemporary finishes with accents of vibrant colors that meld seamlessly with the neutral tones. A beautiful space to behold and work within.